One of the tricks I was pretty proud that I taught him was to hold his treat on his nose; he also goes potty on command! Today we went to the vet for his and Lady’s shots, along with some blood panel work for him. He’s getting old and needing more care. Poor guy had a rotten tooth and some tumors, but he is such a good, calm boy that he’d never tell you he’s in pain or snap at us or the kids. 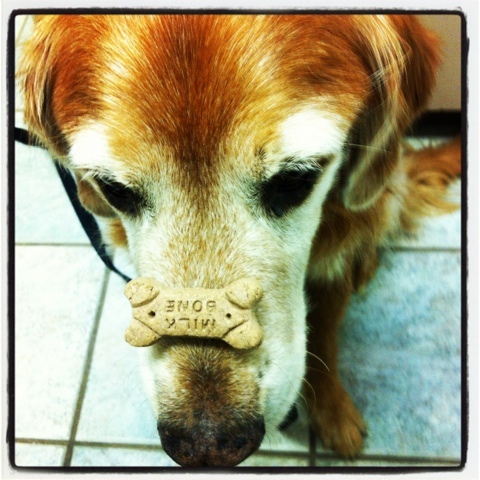 This entry was posted in Project 366 and tagged dogs, golden retriever, Instagram, photography, project 366. Bookmark the permalink.